Memes are essentially the units of societal evolution that shape our cultures. Useful or popular ideas survive. Others die off. This can apply to almost any part of a culture whether it be religion, science, or the arts. For example, someone originally had an idea to grow a toothbrush mustache in the 19th century. It was a style consisting of about two inches of roughly square facial hair above the lip. Some of their friends and acquaintances almost certainly liked the style and eventually imitated it. This is when it became a meme. Popular movie stars Oliver Hardy and Charlie Chaplin wore one. It became a popular fashion choice for men in the United States during the early 20th century and eventually made its way to Germany. Adolph Hitler liked it so much he wore one, and then the meme immediately died after World War II. No one wanted to look like Hitler. Another, more successful, meme began around the same time. It was the modern Santa Claus myth. This meme was able to transform the holiday of Christmas from a religious celebration with roots in paganism into the most commercially successful season of the year. Most retailers believe that they cannot survive without the Christmas season, which accounts for between 30 to 40 percent of their annual sales. It is now an official holiday in over 160 countries and also celebrated widely by many people who do not identify as Christians. The Santa Claus meme has its origins in the earlier traditions that involved Saint Nicholas, Father Christmas, and the Dutch Sinterklaas. We don’t know exactly when, but the Dutch Christmas traditions influenced someone in New York to tell their children that Santa Claus would bring them gifts on Christmas Eve. This idea would spread quickly in the early 19th century. In 1823 the modern Santa Claus was canonized with the publication of the poem “An Account of a Visit from St. Nicholas,” more commonly known as “The Night Before Christmas.” This poem would ascribe Santa all of his signature attributes including his sleigh, reindeer, jolly and chubby elf-like appearance, and magical chimney maneuvering. In the following decades Santa would be widely used in newspaper and retail marketing. His popularity would continue to grow. This meme was unstoppable. Major corporations like Sears, Roebuck, and Company and Coca Cola would eventually add their spin on the character in order to increase their sales. Santa was great for business! 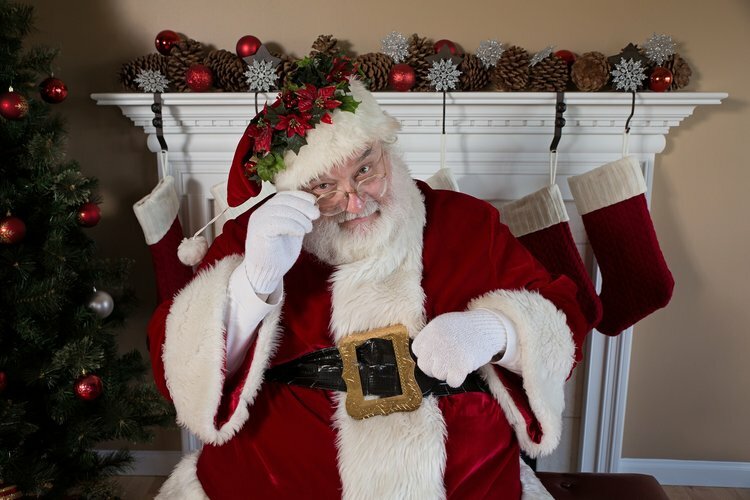 The Santa meme has now become so ingrained in our culture that many parents continue to lie to their children about his magical powers and gift giving. It is considered taboo for children who know the truth to tell their friends that Santa does not exist. People are very touchy about this. Santa Claus and Christmas have become synonymous. Nostalgia for the holiday is very much connected to this association. The commercial and social aspects of Christmas are now stronger and more popular than ever. For many reasons I, as a Christian, have decided not to participate in this holiday. The strongest is that there is no connection to the Jesus of the Bible. Yes, it was adapted from the Saturnalia to commemorate His birth. But celebrating His birth is not biblical. Celebrating it takes attention away from God’s Holy Days that actually have a strong connection to our Savior Jesus Christ. The Christmas that is celebrated today has a long cultural evolution incorporating many memes from paganism and other sources. The Bible is clear what we should do in these situations. God’s Holy Days are different than worldly holidays. They are not influenced by culture or memes. They do not evolve. They are timeless and wonderful. If you have not heard of them I encourage you to begin studying and learning more about the true Holy Days in the Bible.